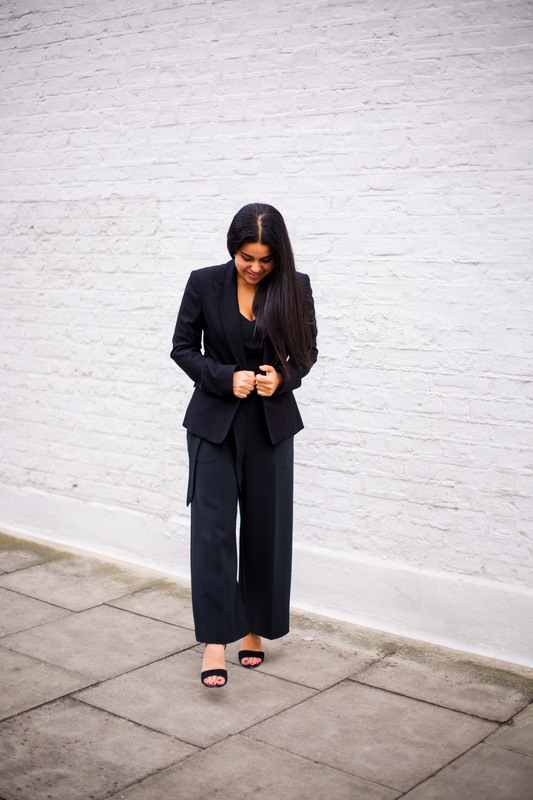 Jumpsuits were never something I envisaged suiting me… until I found this one by Jigsaw. 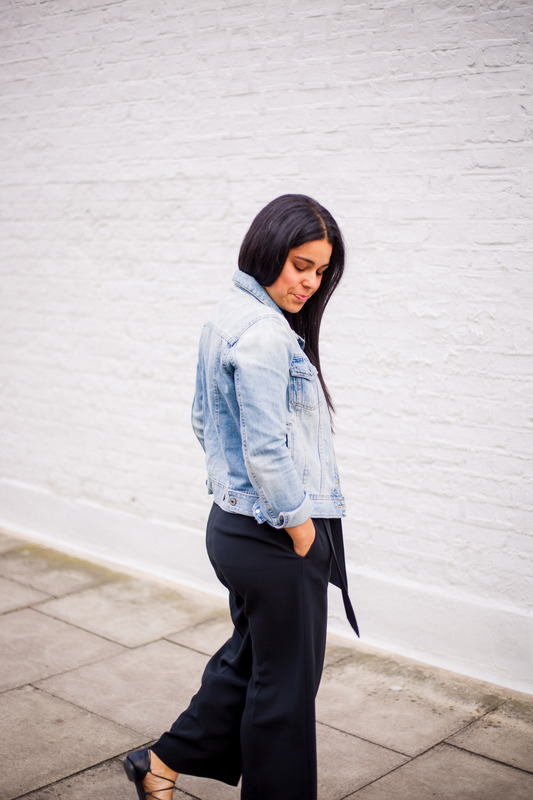 It was love at first sight… the perfect fit and in my favourite colour too! 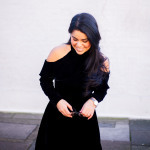 I wanted to be able to wear it on more than one occasion though, and thus the inspiration for this post was born! 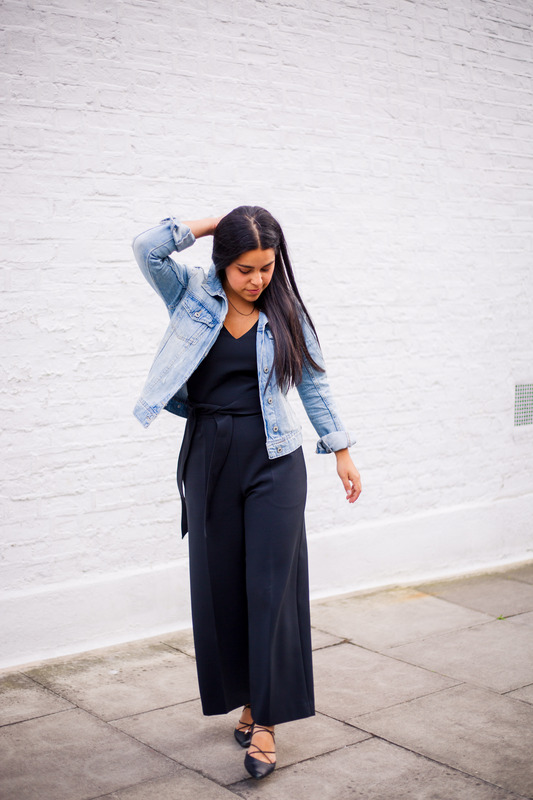 Here are 3 ways to wear a black jumpsuit! Don’t take away from the detail of your jumpsuit by adding too many accessories. 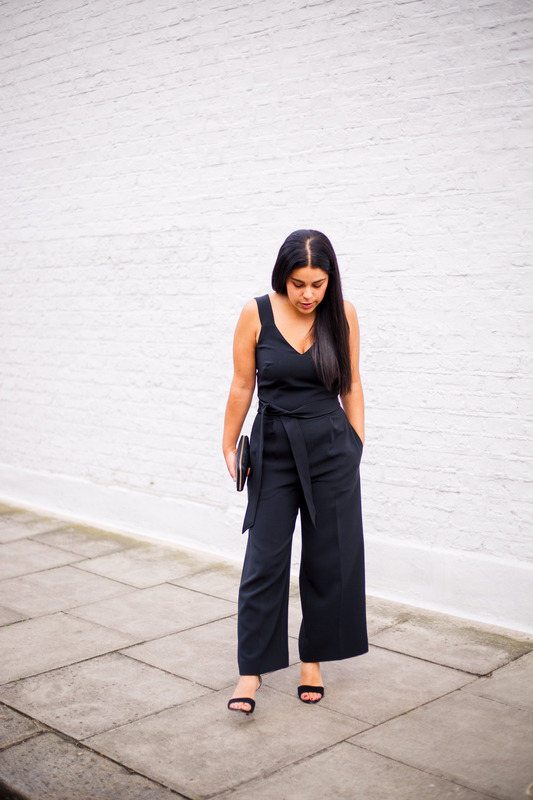 Instead, draw attention to your jumpsuit, and create the ultimate minimalist look, by only accessorising with a simple black clutch and black open heeled sandals. 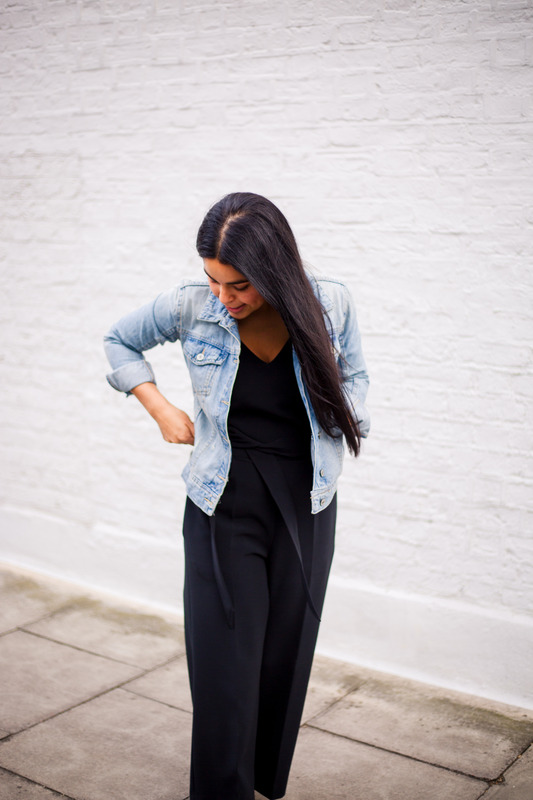 It’s just not right that a black jumpsuit is best suited as a night look. 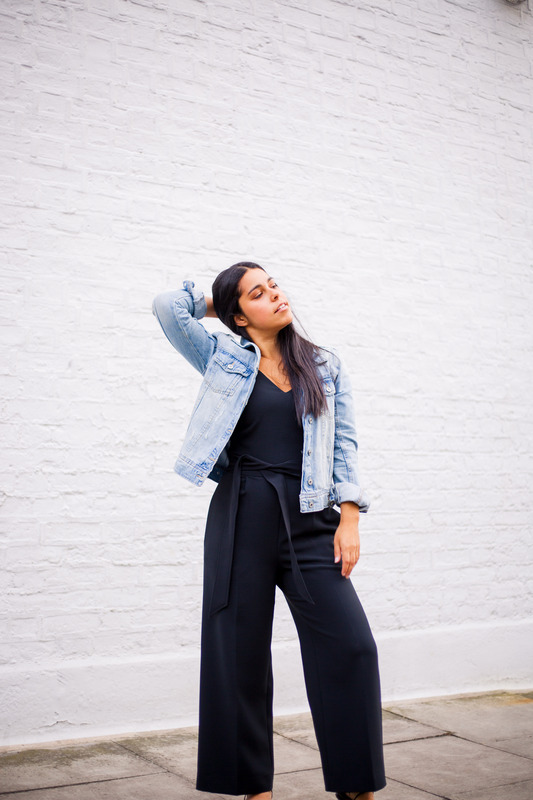 Take your jumpsuit into the weekend by pairing it with a casual denim jacket and some black flat sandals. Simple and chic! Two words best to describe the ultimate minimalist look! 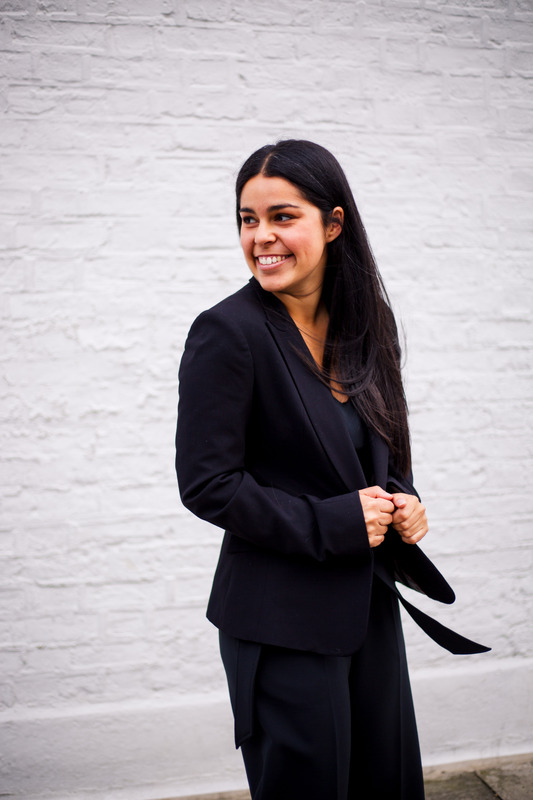 We’ve got a night and a day look for your jumpsuit so why not one for the office too! 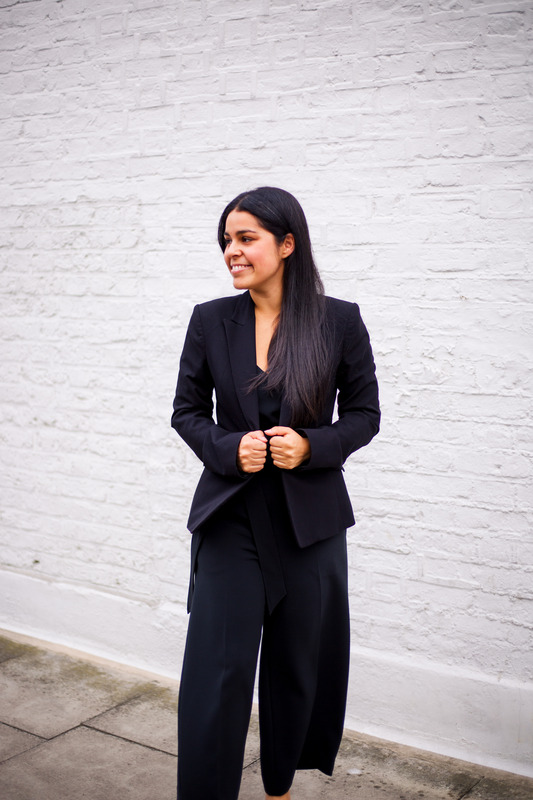 Simply team your jumpsuit with a tailored black blazer and office appropriate black heels to complete the look.